The imminent announcement of the English Premier League’s (EPL) next TV rights contract is drawing lots of attention. Football analysts have been asked whether football’s bubble is about to burst yet the game still appears to be bulletproof. After the last round of bidding, Sky and BT Sport (plus a couple of others) paid a record £5.14billion for live rights and highlights packages. This was an increase of just over 70% from the previous £3.02billion deal that covered the 2013-2016 period. The 2019-2022 deal will be the first cycle where more games are shown live on TV than not, which brings with it a distinct possibility of football overload. But, broadcasters know they are onto a winner with live football which explains the staggering increase in TV rights values since the beginning of the EPL. The latest round of bidding covers the cycle from 2019-2022 (3 seasons in football terms) with a record 200 live games (out of a total of 380) up for grabs. As well as the existing packages of games, there are new packages on offer including a ‘prime-time’ Saturday night slot, three complete rounds of 10 midweek matches and one set of bank holidays (the table below gives the specifics). No single buyer is allowed to acquire more than 148 matches each season. The first deal in 1992 (covering 5 seasons) was worth a total of £192m. Out of the next 7 cycles to follow, 6 of them have seen increases on the previous deal as the popularity of the game grew and more people tuned in to watch the new football elite. Foreign imports lit up the game and the pace of the new English Premier League captured fans. The value of the rights packages grew as did the number of live games available in the new packages leading us to a place where the new package could be worth a predicted £6billion (UK rights only) as shown below. Couple that with the existing, piecemeal, international rights, of about £3.2billion (which are already being renegotiated) we could well see the value of the overall rights top £10billion. The demand for live football is astonishing considering some of the negative, historical context, particularly in the wake of the Heysal and Bradford and Hillsborough disasters when live football became engrossed in tragedy and defined by hooliganism. In 1985, and with football league attendances in the UK falling off a cliff – they averaged 48,000 per match in the late 1960s and steadily declined to c.16,000 by the early ’80s, sociologist Chas Critcher predicted a bleak future for football in the UK at the elite level, suggesting that ‘football will no doubt survive in British culture in one form or another and would remain a strength in regions where traditional male working-class culture persists…perhaps football belonged to an earlier phase of industrialisation and has only a tenuous place in post-industrial society’ reducing live football to the annals of history. But along came BSkyB in the early 1990s who themselves were facing massive financial losses at the time. They came with a plan to redevelop the structure of the Football League and created a breakaway Premier League – the emphasis was being solely on sport as entertainment and a spectacle for viewers with more football being broadcast than ever before, in contrast to the occasional game on a Sunday afternoon or FA Cup football traditionally broadcast on free-to-air platforms. It would be driven by subscriptions to pay TV services which would commercialise the product and turn it into a global game with member clubs profiting from the millions on offer. It was undoubtedly a gamble by BSkyB but they have changed the economic landscape of the modern-day game, and fast become the home of football. Sky has maintained its stranglehold of EPL TV rights since 1992 and their business model relies heavily on EPL football. The move to a new, ‘vertical’ packing of its sports rights, with new channels dedicated solely to individual sports, means that Sky will look to protect their position at the head of the market with a strong valuation, strengthened by their award winning coverage and line up of commentators, presenters and pundits. BT Sport now appears to be settled in the number 2 spot following their surprise entrance into the negotiations back in 2013. 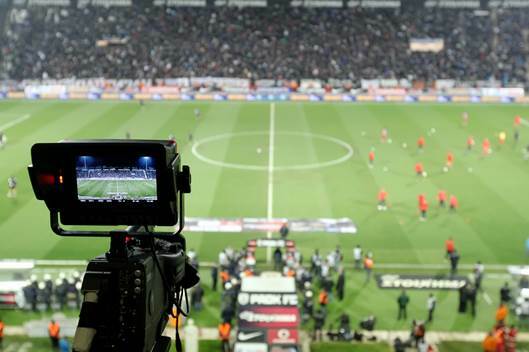 However, there are pitfalls into entering this TV battle and past evidence highlights where broadcasters have gambled on EPL football and, ultimately, failed. There have been high profile collapses since the early 2000s of companies such as OnDigital, ITV Digital and Setanta. ESPN tried to enter the market with multi-million pound challenges to Sky, breaking up the single provider monopoly but failed to find the subscriber numbers with the weaker packages that they had won. They couldn’t drive a return on their investment and failed to make their business models work. So should Sky and BT be worried? We know some of the big tech giants such as Amazon, Netflix and Facebook are ready to enter the market. However, if any of these companies do bid for rights this time around, we expect them to pick-up the smaller packages to test their markets. It would make sense for these names to sign for the mid-week packages in their first cycle based on their business models around internet streaming. But we don’t expect the deal to increase by anything like the 70% it did last time, both Sky and BT overpaid in the last round and have seen subscriber numbers diminish following price rises for their sports channels. There is clearly an upper limit for what customers are prepared to pay so without any further competition both companies will look to consolidate their positions. With the increase in the number of live matches therefore, we could even see a reduction in the actual cost per match (as shown below). There are too many unknowns for these companies regarding whether or not they are ready for this market, or whether or not the market is ready for them. If the tech companies make a play for rights then expect them to tip in during the next process, when the market is more mature and they can capitalise on improvements in infrastructure and a shift in the culture of how we consume matches. Were they to come into the market properly in 2022 then we might see a more significant rise in the value of the deal with more choice for consumers and a possibility that you could tailor your package based on the team you support. How does the EPL TV rights deals compare with the likes of the US and the rest of Europe? Well the models are rather different; US teams share broadcast income in a more unequal way with the weaker teams taking a larger share. This helps the competition and is the reason why we see (for the most part) different teams challenging for the Super Bowl each year, for example. And let’s not kid ourselves that English football makes more in TV rights than other sports. The NFL generates $39billion (c.$28billion) in their deal (2014-2022), or c.$4.8billion (c.£3.5billion) per year while the NBA sold its rights in 2014 for $24billion (c.£17billion) over 9 years or $2.7billion (c.£1.95billion) per year. Closer to home, in Europe, the deals tend to be driven by the big boys; Real Madrid and Barcelona in La Liga, Juventus in Serie A and Bayern Munich in the Bundesliga. They soak up most of the rights by negotiating for them individually and the result is that the rest of the league can’t really compete and we know the league winner before the first game has kicked off. And despite the fact that La Liga has some of the world’s finest footballers in Messi, Ronaldo and Bale the TV rights deal, around £1.7billion per year, trails the Premier League by some 40 per cent. Is the bubble about to burst? Not quite yet, but the proliferation of content and the volume of football that is about to be shown, there is a real danger that the public will get bored of it and football will begin to eat itself. Albeit in bite sized chunks.